(Natural News) A new study conducted by researchers from the Smithsonian Tropical Research Institute (STRI) showed that preserving old-growth tropical rainforests can be the key to avoiding the influx of parasitic and viral mosquito-born diseases. “We found that fewer mosquito species known to carry disease-causing pathogens live in forested areas compared to disturbed ones. Mosquito species from altered forest sites are more likely to transmit disease than mosquitoes native to an area of mature tropical forest,” said Jose Loaiza, Panama Institute of Scientific Research and High Technology Services staff scientist and STRI research associate in Panama. Loaiza’s team analyzed more than 50 mosquito species from water in natural or artificial containers or ground water at 245 sites where tropical lowland was highly disturbed (Las Pavas on the west bank of the Panama Canal), a little disturbed (Achiote, on the east bank of the Panama Canal), and undisturbed (at the Smithsonian‘s research station on Barro Colorado Island). Back then, when Frenchmen made an attempt to build the Panama Canal, the endeavor was not successful because they were unable to figure out how yellow fever and malaria spread, and their builders who got infected with such diseases were not able to find an immediate cure. When Cuban scientists saw that mosquitoes caused the outbreak of such diseases, American engineers and architects were able to complete the inter-oceanic canal in 1914. Because controlling mosquito infestation was central to the success of the Panama Canal project, there was a vast cache of information about disease-transmitting mosquitoes in Panama. There are around 286 species of Culicidae (mosquito family) in Panama, with Anopheles albimanus being the main vector of malaria in Central America, Culex nigripalpus the main vector of the Eastern equine encephalitis virus in the United States, and Culex pedroi the main vector of Eastern equine encephalitis virus in Peru. 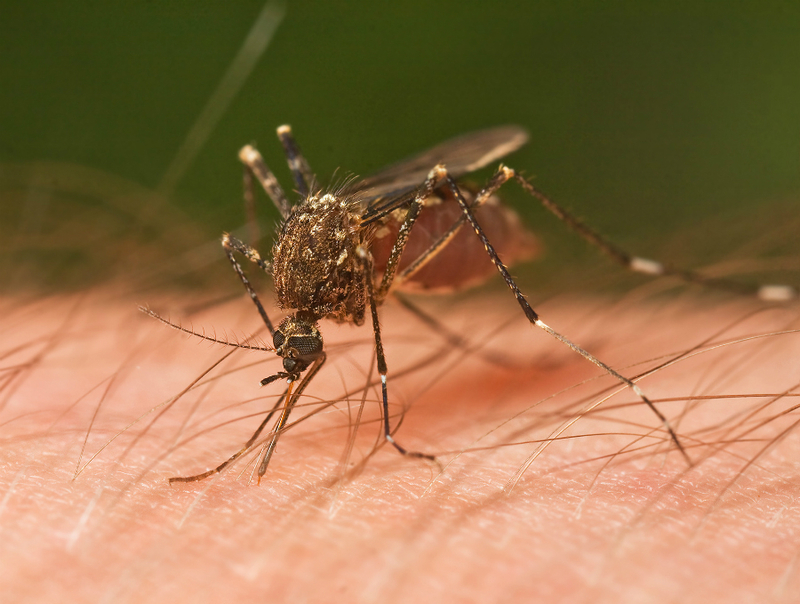 Scientists that were led by Professor Suresh Mahalingam at Griffith University’s Institute for Glycomics on the Gold Coast have found ways to treat severe joint and muscle inflammation caused by mosquito-borne alpha viruses such as Chikungunya virus (CHIKV) and Ross River virus. At present, there are no known treatments for the diseases caused by these viruses. A person infected with CHIKV has an activated molecular complex called inflammasome. “When we infected mice with Chikugunya, we found that a type of inflammasome known as NLRP3 was activated, which triggered an inflammatory cascade, leading to severe joint inflammation and bone damage,” said study lead author Dr. Ali Zaid. “So, we used a molecule which specifically inhibits the activation of NLRP3, and we found that it helped reduce Chikungunya inflammation in mice, and also helped reduce bone loss and muscle inflammation. We found the same in mice infected with Ross River virus. There have been millions of CHIKV cases over the past decade, with epidemics hitting the Indian Ocean island of La Reunion in 2006, India in 2008, and the Caribbean in 2015. The Ross River virus, which is native to Australia and the South Pacific, on the other hand, brings ailments to around 5,000 people annually. Read up on more stories such as this one at Ecology.news.